Cadet RSM Trinity Yau, this year's head of St Benedict’s CCF, has been awarded a Deputy Lieutenant's Certificate for outstanding service. The aim of the award is to recognise cadets who have made a difference either at their unit or across the community. Notification of this award was received from the Representative Deputy Lieutenant for the London Borough of Ealing, Mr Richard Kornicki CBE DL. The award will be presented at the Borough parade on Armed Forces Day (Saturday June 30th). Trinity joined St Benedict's School CCF at the age of thirteen and has served continuously until now. She has risen to be our senior cadet within the Contingent, having come through strongly during Year 12 and impressed all who had dealings with her. She did well on her Regional Command Cadet Leadership Course in October 2016. For the past two years she has been training our recruits, (who are drawn from both St Benedict's and our partner school, Cardinal Wiseman in Greenford), and under her direction this year we have had the best retention rate in recent times: the cadets respect her and she directs her team of NCOs effectively and efficiently. She turns out for all exercises and camps and is rarely absent on a usual parade night. 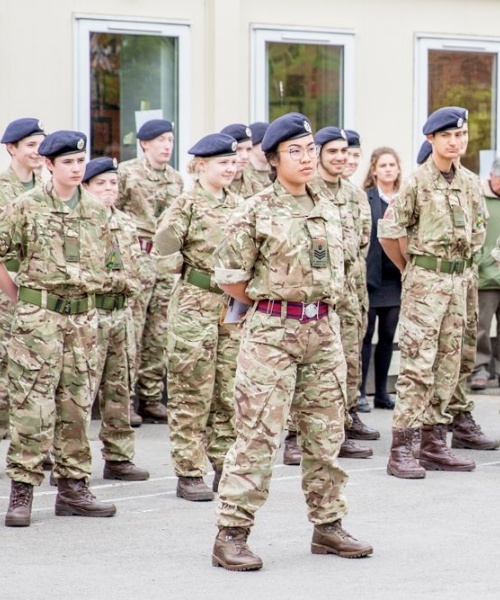 Trinity has represented the CCF at formal occasions at school and in the local community, and her drill and turnout are of a very high standard. She sets the tone for the entire Contingent. Trinity is a thoroughly deserving young woman with a great sense of social responsibility and duty. Trinity's warmth, combined with her natural calmness, enables her to be very successful in her role as our senior cadet. We are able to tell Trinity what needs doing and leave her to work out the details of who and how: she always delivers. During her Duke of Edinburgh Gold Award expeditions she has also displayed great strength of character, high personal standards, flawless organization, and natural leadership. Her leadership skills are further evident when she coaches hockey at her local club. She is a school Decan (prefect) and carries out her duties willingly and competently; she is definitely a role model for younger pupils. 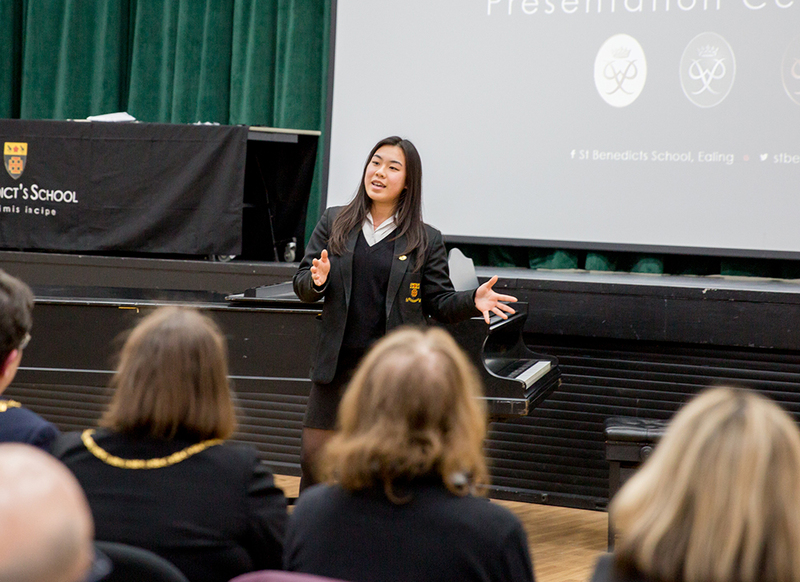 As an able musician, she was offered a place at the Royal Military School of Music with the opportunity to go on to Sandhurst, but has instead elected to go to university to study film-making, while still considering an Army career. I commend her to you unreservedly.